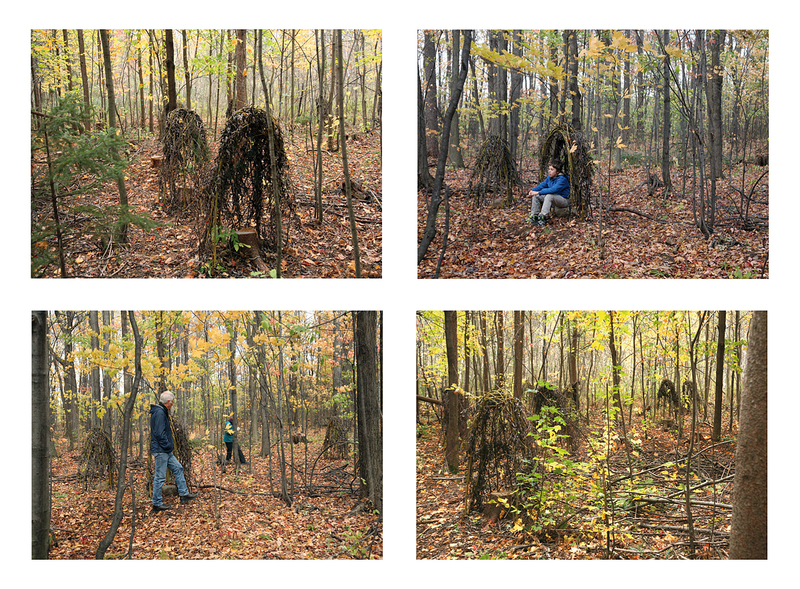 To ours invitation, Amaury Bourget, imagined a sound installation for places. Exhibition: July 7th on October 13th, 2013. 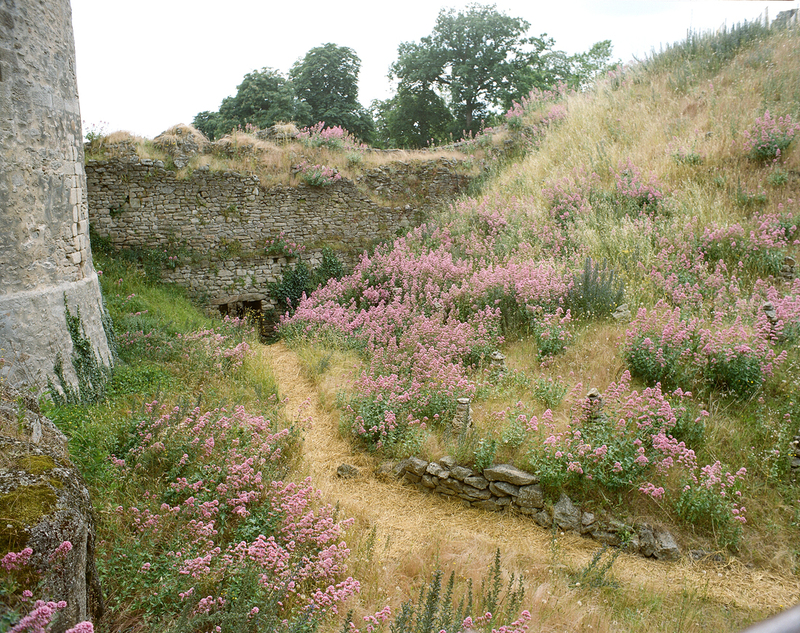 Situation: in a medieval castle ruins it, used as plant in plan landscapist of François-Frederick Lemot at the beginning of the 19th century, areas of the castle become the place of interventions often discretes. Dates : second period, between february 2013 and july 2013. Device year 2: 10 stations: The Rome's ruin (la ruine-de-Rome)//The veduta 2//The landscape of Astéracées 2//The mouth of the ogre//The flower beds 2//The tables of level surface or tables-gardens//The valley of grasses 2//The hill in the cairns 2//The tent-index or the tent-index of the curtains//The platform of the staking (plants): flags. 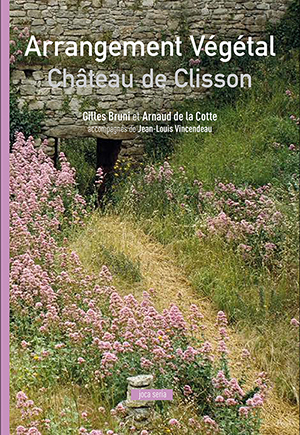 Dialogue between Gilles Bruni and Arnaud de la Cotte. 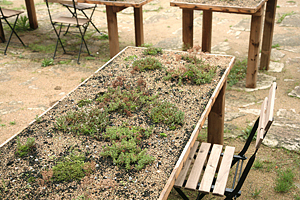 «Vegetal arrangement» is our laboratory, our "zone of artistic experimentation». We make artists gardeners, we put down acts: cut, tear off, harvest, weed, scratch, stack up, burn, hoe… But is it enough to make full gardeners of us? 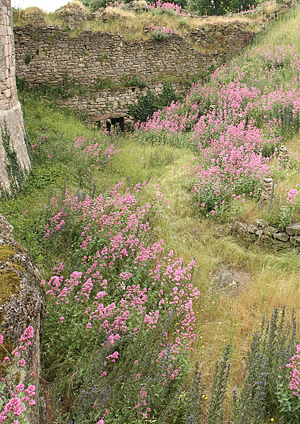 The garden which we produce in the castle is almost invisible. He does not return in the game of habitual conventions, he does not answer a pre-established order. Produced by some perception of nature and of some scruffiness, it slips into places, moulds in areas abandoned by the visitors, borders, blind spots and prohibited places. Our job draws inspiration from tasks accomplished by the gardeners, agents of the Department. Themselves really maintain the monument. 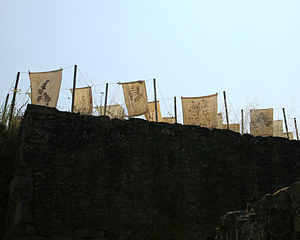 They watch to regulate the presence of the plant and to avoid invasion by the waste land, to assure a level of cleanness waited by the visitors and to guarantee the protection of ruins under the watchful of the conservative. It is true that the plant is sometimes the enemy of the stone. And yet for some years, the new environmental standards drove to the abandonment of the usage of weed killers. Ruderal vegetation fast took back its rights and finally, the presence of the plant is more tolerated than including. Perhaps do we practice gardening as art, «art to cultivate»? To promote, to leave, to fall away, to dispose We play and divert horticultural and agricultural techniques, we flirt with an odd ambiguity which makes us sometimes take the place of the official gardeners in the look of the publics. For us, gardening becomes game. Entertainment and laugh are never very far. Game of forms and of language, in a report for the pleasure of making. The planting of Jerusalem artichokes in «the valley of the grasses» becomes «the starting of the vegetables». 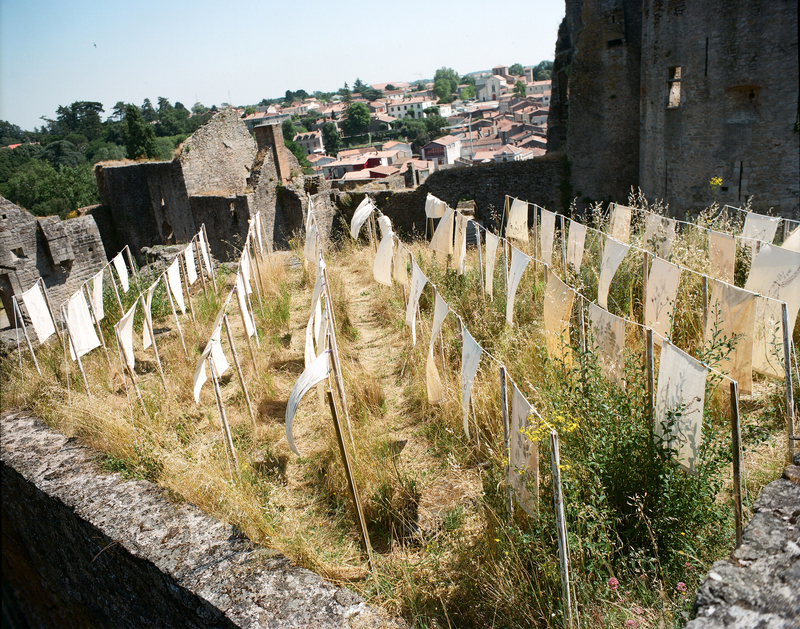 The semi of wild plants on «the hill of the cairns» becomes «the throwing of the plant bombs», like Liz Christy who used this technology in 1970s when she created in New York the green guerilla. The willows put in pots, imprisoned in the bottom of to them simple of dungeon in the aplomb of the home - door, «the solopots». We took them away then unloosed them in the clissonnaise countryside where they live from now on at the edge of a stream, with complete freedom. 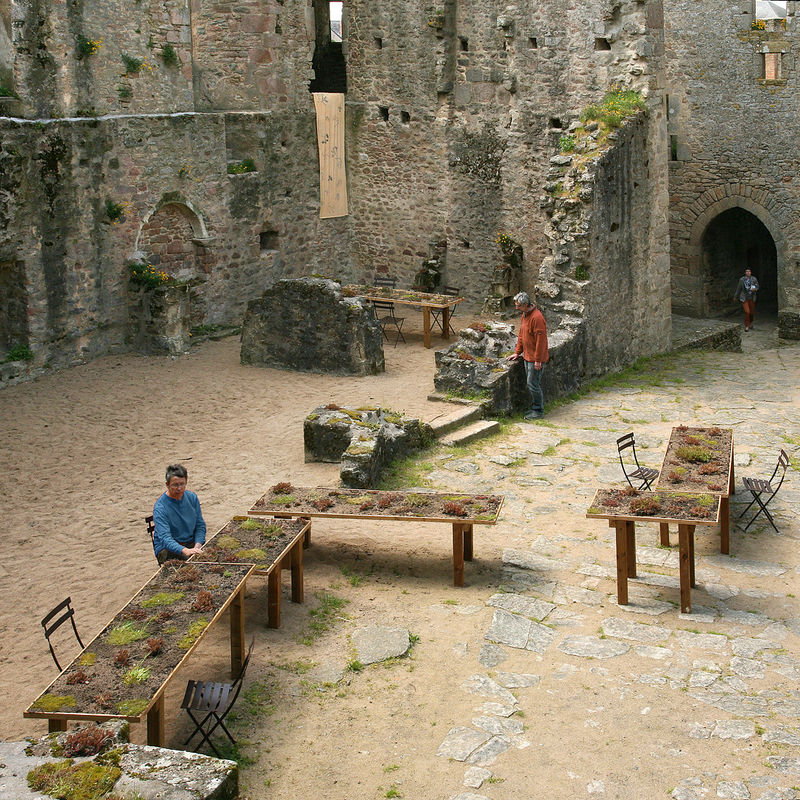 Tables become "tables-gardens" or «tables of level surface» in the manorial court, shortened by whom plants used to the walls of the castle would come to grow ironically in the plates of the guests. 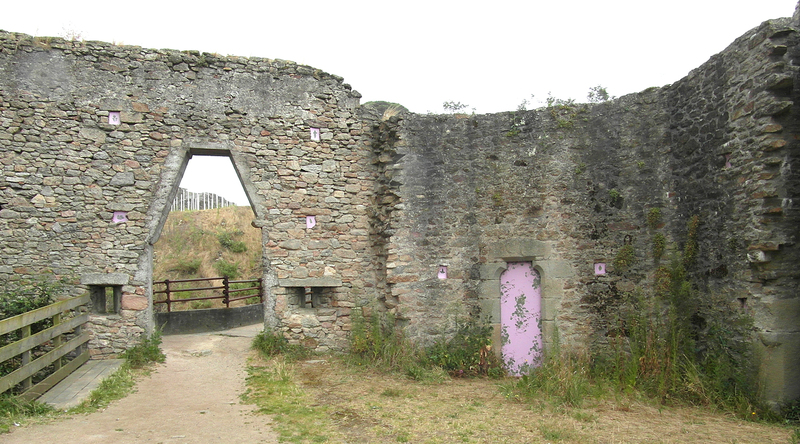 Plant arrangement returns inevitably in memory of François-Frédéric Lemot (1772 - 1827) who transformed the castle into a "fabrique" (building into historical parks). This founder act justifies in a way our artists' action gardeners.